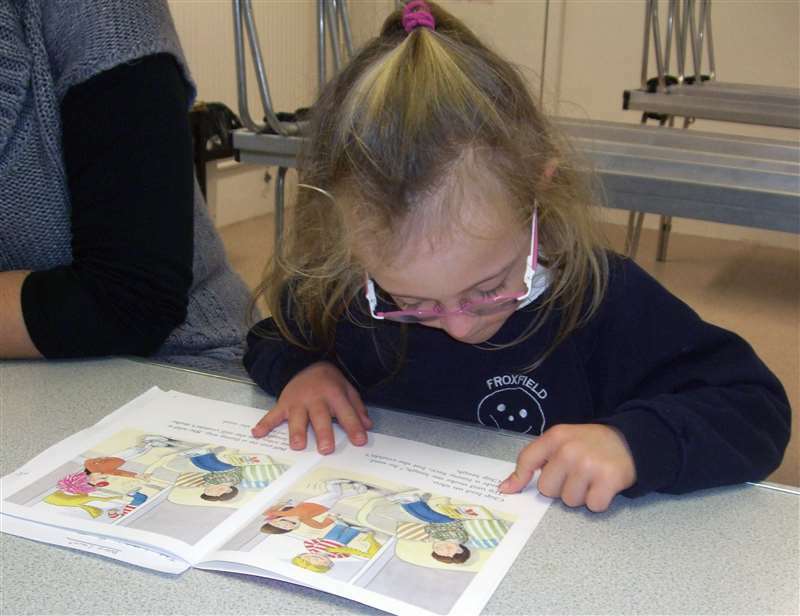 The Reading and Language Intervention for Children with Down Syndrome (RLI) is a teaching program designed to improve the reading and language skills of children with Down syndrome aged from 5 years. It is delivered through daily, one-to-one teaching sessions where instruction is adapted to match the individual needs of each student. RLI provides individualized reading and language instruction designed to meet the particular learning needs of students with Down syndrome. It is based on interventions that have been shown to be beneficial for other children experiencing language and reading difficulties, and incorporates the principles of best practice for all children as identified by current research and guidelines. It is designed for children with Down syndrome aged from 5 to 11 years with reading ages under 8 years. RLI combines the teaching of reading skills with explicit language instruction. The reading strand combines training in letter-sound knowledge, phoneme awareness and the application of these to reading and spelling (phonics), and sight word learning, in the context of book reading. The language strand teaches vocabulary, utilizing visual approaches to introduce and reinforce the meaning of new words in a variety of different contexts, and practicing speaking and writing using newly taught and learned vocabulary. RLI is designed to meet the needs of individual students through an initial assessment process, and through ongoing assessments and record keeping. Books are introduced to match each student's abilities according to a fine grading of text difficulty in order to build confidence and steadily introduce new words and more complex grammar. New vocabulary, including nouns, verbs, adjectives and prepositions, is taught in themes. Themes can be chosen to link to curriculum topics or areas of personal interest. RLI was designed to be delivered in daily one-to-one teaching sessions in school by teaching assistants supported by the class teacher and school special education needs team. It was evaluated in mainstream schools in the UK and has subsequently been implemented successfully in schools in the UK, the USA, Ireland and many other locations around the world. 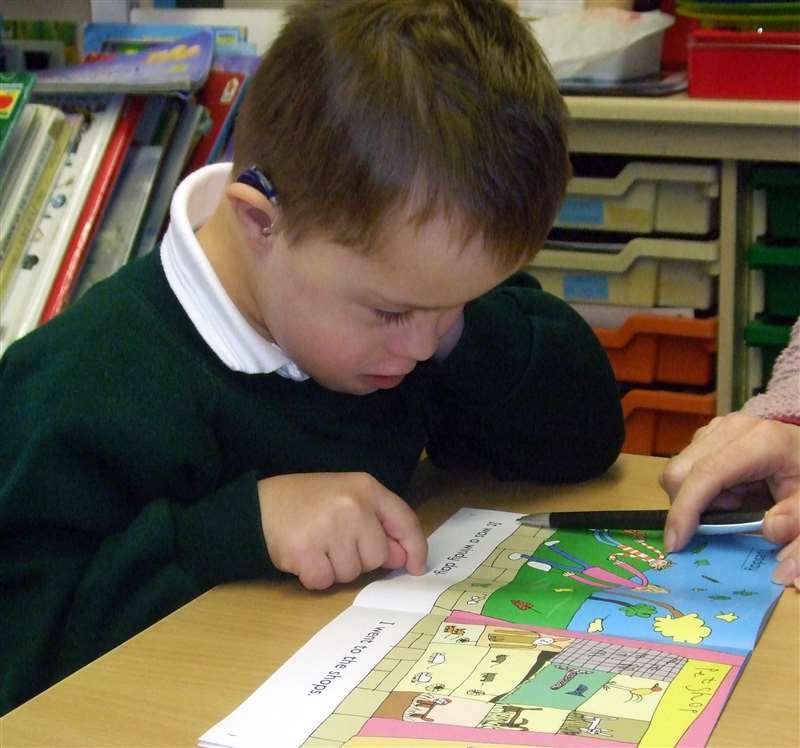 The intervention builds on extensive research into reading interventions for delayed readers in general and into the specific learning needs of children with Down syndrome. It was evaluated in the first major randomized controlled trial of an education intervention for children with Down syndrome. Find out more about RLI in this free online presentation. Professor Sue Buckley introduces the intervention, its design and evaluation, and discusses what is involved in implementing RLI in school.